During the Christmas holiday season, we hear a ton about gift giving, gift ideas, and nice gestures. It’s very rare that we talk about it in March. I know we are gearing up for Spring season, warmer weather, and baseball, but did you know the best time to give a gift is when it is least expected? That surprise present or gesture goes such a long way. 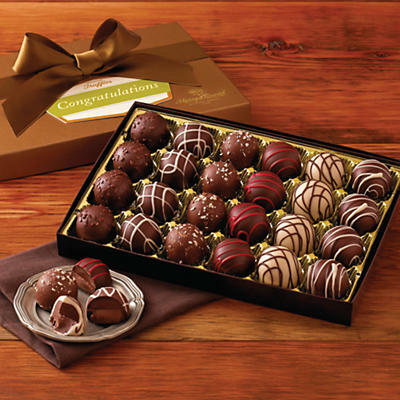 I love to surprise my corporate clients with a surprise thank you gift. I’m not a big fan of gift cards except for the convenience of them, so I would like to share my top 2 favorite gifting options that I use both personally and professionally. 2) I’m a HUGE fan of personalized gifts. Anything and everything personalized is very special and usually gives that WOW factor. Monogram Online is your one stop shopping for everything personalized. I’ve used them several times, mostly for friends and family gifts. Their personalized necklaces are beautiful. I always get compliments when I wear my silver name necklace. You can find a variety of different jewelry items. Most recently, I purchased a silver name necklace for my daughter…shh….it’s a surprise. 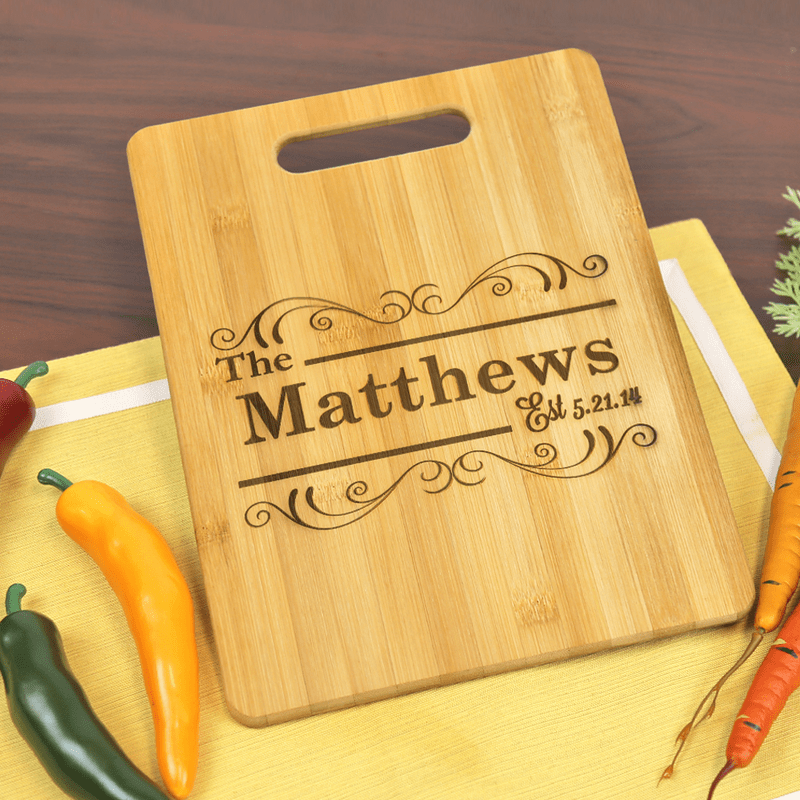 However I must admit my all time favorite product at Monogram Online is their personalized cutting boards. Considering we are the St. Louis cooks, cutting boards are a favorite item in our kitchen. Not to mention, they are a very unique gift for that special someone who enjoys to cook! Next time you are pondering what gift to give your colleague, client, friend or family member, look no further then Harry & David and Monogram Online! As a Mom of three children, I love pictures especially of my kids. Some of my all time favorites are when they were babies and toddlers. I will never forget that day at Simon Says (my kids preschool/child care center) when I picked up the kids to be presented with these absolutely darling photos. All of them taken by the one and only Erin King. Let me introduce you to Lil’ Angels Photography and Erin King Photography with our second local business feature. Lil’ Angels Photography is a national franchise that works with child care centers and preschools to offer parents a little more than normal “school” photos. Lil’ Angels Photography offers a “fashion” program where the photographers bring in outfits and accessories. Lil’ Angels Photographers dress the children up so when the parents pick them up, they have beautiful photos of their children in darling outfits, and parents don’t have to lift a finger! When Erin King graduated from Maryville University in 2004 with a degree in Integrated Marketing Communications, she knew one thing for sure…She wanted to work for herself! A friend that Erin went to high school with had purchased a Lil’ Angels Photography franchise in St. Louis. She built the business for a couple of years, but was moving to Kansas City, so Erin bought it from her. Erin has owned that franchise for 10 years now, and 5 years ago, bought a second St. Louis area franchise with her husband, Rich King. At the child care centers, Erin King had a lot of requests for private sessions for siblings that didn’t attend the preschools or child care centers. She started using her basement as a makeshift studio and met people in parks for outdoor sessions and family pictures. These private sessions took place on Saturday and Sunday mornings for almost ten years until she explored other options. It was then Erin King Photography was born! The studio is located in historic Cottleville, Missouri. It’s conveniently located 5 minutes from Erin King’s home! The new studio is a historic home that was built in 1910 with the perfect setting to offer old world charm. Located on 3 acres, along with a cabin that was built in the 1800’s, a barn, and unlimited outdoor settings for spectacular photos. “Having a location that is great for a studio and outdoor photos is a photographer’s dream,” said Erin King of Erin King Photography. Having both Lil’ Angels franchises and the Erin King Photography studio keeps Erin King very busy. Her five-year old son, Cole, loves to work with Erin at the studio and explore on the grounds. Recently, they welcomed a new addition to the family with a baby girl named Charley. Erin King could not be more excited about what the future holds for her family and their two photography businesses – Lil’ Angels Photography and Erin King Photography. Below is contact information for Erin King at either Lil’ Angels Photography or Erin King Photography. Check out her amazing work online! Education is the platform for everything in our lives no matter what your age might be. Education is a progressive and life long process influenced by home, work, school, and community. Everyday we are confronted with situations that test our ability to communicate, make good decisions, and interact in our daily lives. Education 4 All, Inc. was founded on all these principles. The message of Education 4 All, Inc. can be summed up by their mission statement. “Our mission is to help teens and adults be the best they can be at home, school, work, and in their community”. This wonderful organization was founded by Dr. Carletta D. Washington, founder/executive director, speaker, consultant, and author. Her background is extensive in the educational field with over 20 years of Leadership roles, but it doesn’t stop there. Carletta offers so much more through Education 4 All, Inc. including her weekly Radio show on blog talk radio, as well as her online magazine, “Involved Parent Magazine”, in addition to her various books focused on parenting, education, and development. Carletta is a dynamic individual with a true passion for the betterment of individuals and the community. She strives to educate, motivate, and assist in all aspects of driving people to a full life of development and happiness. Education 4 All, Inc. is Carletta’s passion in life. She is the perfect example of what an accomplished individual should represent. The St. Louis Cooks are proud to partner with this wonderful organization. We are writing for the “Involved Parent Magazine” and have also participated in the weekly blog talk radio show. Our relationship is ideal because our organization is also founded on the same principles of Education 4 All, Inc. Parent involvement and family activities are so important to the overall development of our youth, including family cooking in the kitchen and eating family dinner together. There are so many values and principles that are influenced by these activities. We are educating our children in so many areas of life in more ways than we realize. Please check out Education 4 All, Inc.
Education 4 All, Inc. is a registered 501 (c) (3) education organization. A high-end Italian dining experience is not easy to find anymore, not just in St. Louis but everywhere. I still like to get dressed up and enjoy impeccable food and service for that special occasion. My husband and I did just that for our sweet sixteen celebration of our wedding anniversary on April 17th, 2014. We picked Giovanni’s on the Hill in St. Louis, MO. It wasn’t our first visit to this restaurant, but it had been a while. Once again, it did not disappoint. We enjoyed everything from the amazing food…to the old Italian charm and decor, and the professionally dressed wait staff. My husband ordered the Veal Chop in a black truffle sauce and loved every bite. I like to order veal out (since I don’t cook it at home) so I pondered between the Veal Saltimbocca Alla Giovanni’s and the Veal of the day which was Italian style. Our waiter suggested he would prepare two Veal Saltimbocca style and the other one Italian so I could enjoy both of them. Now, that’s what I call service! I must admit that my favorite still remains to be the Veal Saltimbocca Alla Giovanni’s, but the Veal of the day was very good too. It’s such a treat, in this day and age, to visit a higher end restaurant where you can get dressed up (not in your jeans) and be treated like kings and queens for a few hours. We enjoyed before dinner drinks, a four course meal (nice size portions), a lovely cabernet, (Stag’s Leap, suggested by the maitre d’) and a surprise desert of Tiramisu. Giovanni’s recently celebrated 40 years in business. It’s obvious they are doing something right because they’ve welcomed many celebrities from all over the world and have consistently been rated as one of the finest Italian restaurants since 1975. For all you locals out there, you must pay them a visit if you haven’t already. For those visiting St. Louis looking for a fine dining experience, look no further than Giovanni’s on the Hill. It’s a gem of a restaurant right here in the Midwest.